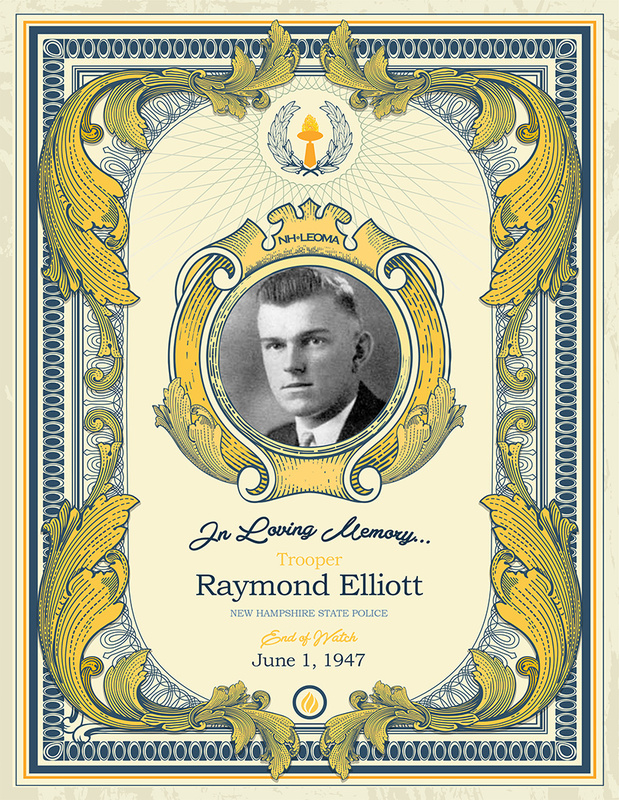 Trooper Elliott was born in 1920 and lived in Groveton, New Hampshire. He served his country in the United States Navy during World War II. On July 15, 1946, he joined the New Hampshire State Police. On June 1, 1947, Trooper Elliott’s cruiser was sideswiped by another vehicle driven by an eighteen year old on Route 16 between Berlin and Gorham. Trooper Elliott’s cruiser was forced off the road and it struck a utility pole. Trooper Elliott died from his injuries. He was 26 years old and had served with the State Police for eleven months. In addition to his parents, he was survived by his son, Wayne.